A seven inch tribute to David Bowie by Melvins will be released Monday April 14 2014. The lead vocal duties on both sides of the single are handled by JG Thirlwell. The tracks on the single are “Station To Station” and “Breaking Glass”. 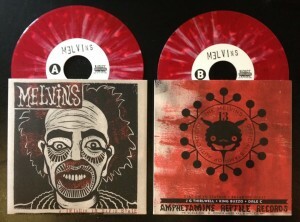 This limited edition of 500 on Amphetamine Reptile features cover art by HAZE XXL & Mackie. 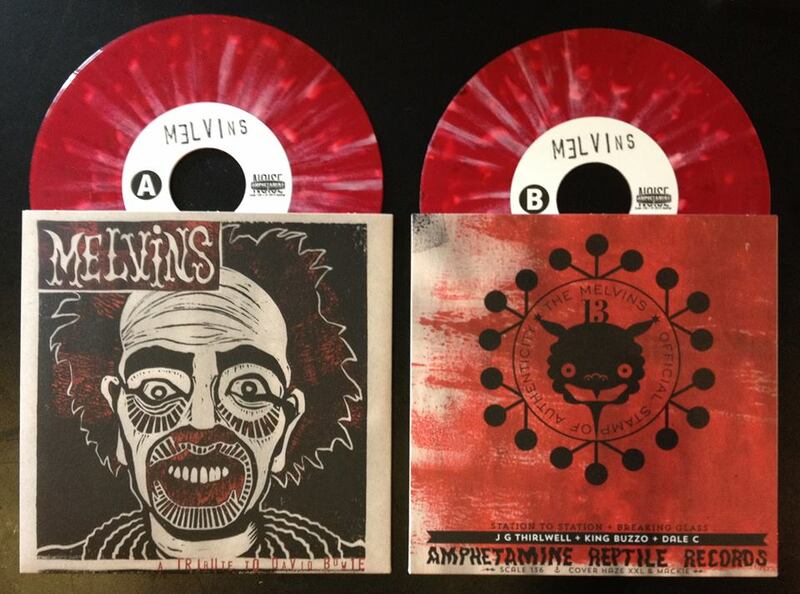 It’s on clear red vinyl with white splatters, and is already sold out. A longer version of “Station To Station” is available on the 2013 album Everybody Loves Sausages on Ipecac. The version of “Breaking Glass” is exclusive to the seven inch release.